Over the last year, a lot of us discovered Justin Maller, the Aussie artist who put out a high-quality wallpaper everyday for 365 days last year. Although his Facets wallpaper project concluded last year, the imagery lives on, and has now been retouched to look best on mobile. These wallpapers have become commonly chosen by members of the tech community, so it’s safe to say that if there is one thing lacking from this app, it’s probably not the quality of the art. The images, as previously mentioned, have been retooled by Maller himself to make up for the fact that the originals were designed for desktops. Wallpapers are organized by date of creation and the properties of an image, just in case there is that one you have to rock on your device. To apply an image, all you have to do is view it in full screen and then swipe upward. Swiping down will show you information about the picture, as well as let you purchase prints from the artist. The app is $0.99 without any in-app purchases. 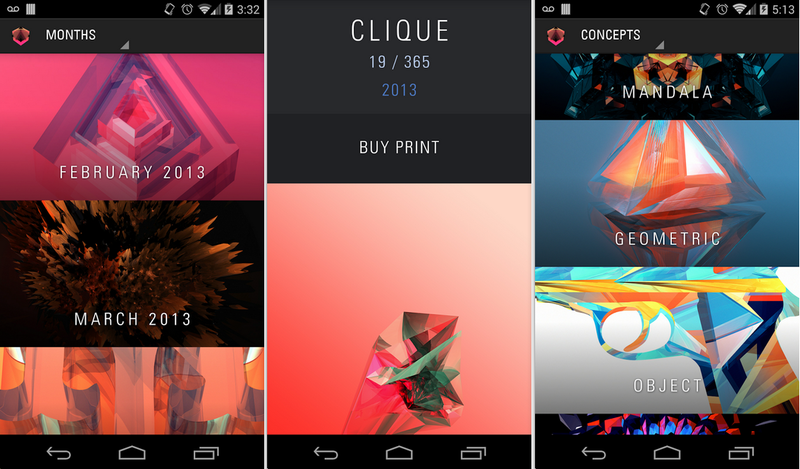 If you are a fan of the artist’s desktop wallpapers, this companion app is a must have.